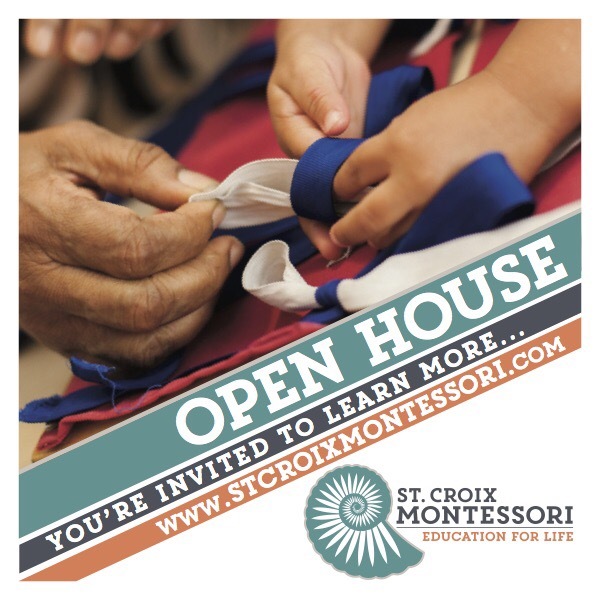 An open house at St. Croix Montessori is an opportunity for us to invite family, friends, and other members of our community to visit our school and learn more about Montessori education. Please join us on Saturday, March 4th beginning at 1pm at our campus in Estate Orange Grove. St. Croix Montessori invites you and your family to discover the Montessori approach, preschool through 6th grade. Find out how this unique educational opportunity can benefit your child! We’ll have refreshments, a brief presentation and plenty of time to mix and mingle. Montessori education is an exciting process of discovery, leading to concentration, self-discipline, and a love of learning. St. Croix Montessori practices the teachings of Dr. Maria Montessori. Our approach prepares students to excel in society. Classes are consciously designed to recognize and address different learning styles, embrace difference, and educate the whole person. Scholarships are available. Learn more by exploring this website at stcroixmontessori.com or email questions to info@stxmontessori.com – or if you can’t join us for the Open House, call our office at (340)718-2859 to schedule a visit!